These bunkers were originally built as anti-aircraft defences during the WW11, this viewpoint over the city is open 24/7 and is free to visit! There used to be cannons up on the hill but now it’s the perfect viewpoint for a birdseye view of the city. You can walk up to the Bunkers from Parc Guell in about 15-20 minutes. Expect to trek up some stairs to reach top, and you must walk up there, there are no buses or taxis in the area due to its park location. In the centre of this maze sits Eros, the Greek God of Love, and surrounding him is over 2000 feet of manicured mains, twisting and turning around the garden. You can get a birdeseye view of the maze from the pavilions that over look it, and spot a few more greek gods too. The gardens are situated in a public park; Barcelona’s Parc del Laberint d’Horta. Dur to its location away from the regular tourist strips the Horta labyrinth is secluded and magical, perfect for hose who want to get lost in nature! If you’re sightseeing on a budget then visit on a Wednesday or a Sunday when entrance is free (it’s around 3 Euro otherwise) but there are only 750 people allowed in each day, so if you want to be sure to visit go early in the day! This stunning modernist building has now been transformed into a museum. Decorated with bright primary colours, this museum/gallery has both temporary and permanent exhibitions, and the building itself has only been a museum since 2017. The Art Nouveau exteriors and the carefully maintained interiors and garden mean you can find out everything about Gaudi and how his art developed. The museum is located in the north of the city, and tickets are half price on Wednesdays! 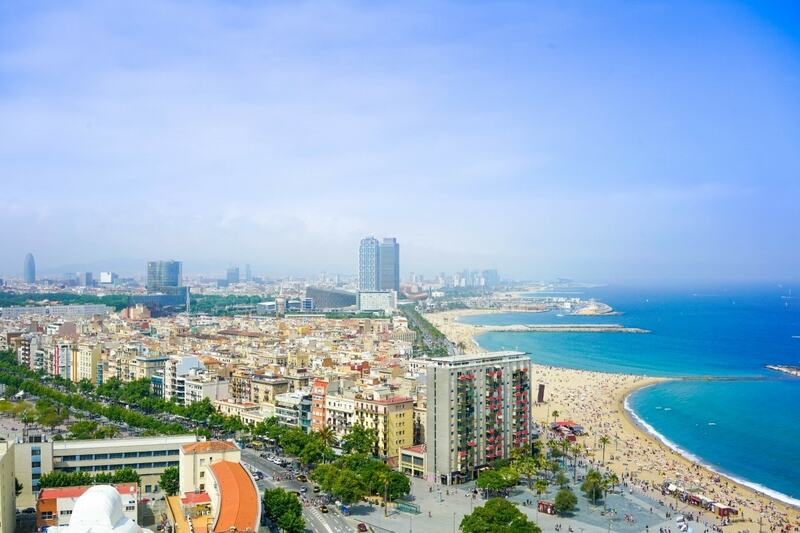 There are so many places to stay in Barcelona, depending on how long you plan to stay, what you want to do and who you’re staying with. Serviced Apartments in Barcelona are a great way to stay in comfort, arrive as you please and have all your home comforts on hand. Serviced apartments are also great if you want to cook your own meals – always useful if you have picky kids like me so you can guarantee a few meals they’ll actually eat!